To digitize a design is just as important as the embroidery process itself. The design digitizing process may be the regarded as the most important part of the making the embroidery designs because unless you have fully understood and conceptualized the designs, the end product will show the lack of detailed and artistic quality which may even be a big set up when it comes to embroidery work. since digitizing a design is as important as the embroidery itself. Because there is numerous embroidery digitizing software available in the market, each of them works in a different way from the next and it is the user to familiarize himself/herself on how the software works. This article, therefore, addresses the general set up tips that will help you come up with quality embroidery by using your three-color design (no lettering) embroidery digitizing program taking a gladiator head a design sample. It is important to take some few minute to keenly study the design as given to you whether it is in a hard copy or soft copy of the art work, whether it is emailed to you or uploaded from a website( of course with permission from the owner). At this step, you may make your embroidery digitizing process simple by simplifying some details from the original design but you should be aware of the requirements of the embroidery digitizing client. Make a decision on which of the three colors belongs to the other stitches. For instance, when creating an embroidery digitizing for a gladiator’s head. You will first need to create an outline of the helmet and then use a smooth stitch which will fill all the spaces. By using a running stitch on a line, you will avoid trimming since the running stitch of the embroidery digitizing process will be covered later on. 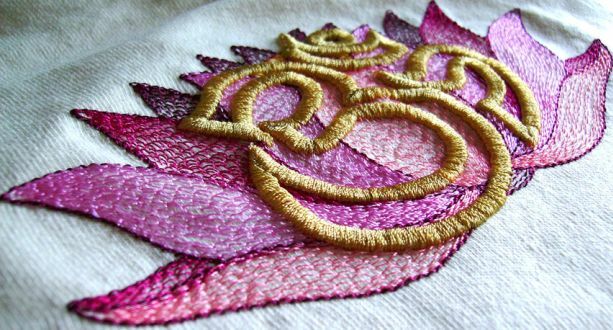 In addition, to create a 3D effect, use a satin stitch which is a single thread stroke running from side to side thereby making light reflect off the direction of the stitches. For the embroidery digitizing involved in the making of Gladiator head embroidery digitizing, the purple color is the second one. 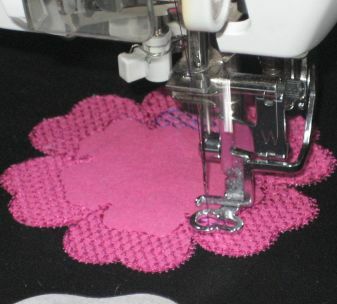 After the first fill, there are no many remaining spaces to fill and therefore it is advisable to use a satin stitch to fill the remaining area. The next of this third step I embroidery digitizing is to turn the satin stitches into fill stitches just as described in the second step. For the embroidery digitizing of the gladiator’s head, black color is used for outlining and therefore it is advisable to use this last color as a cover up for any remaining running stitches used previously. Thereafter satin stitch is used to create the embroidery digitizing outline and for the gladiator head embroidery digitizing, you should start at the neck and work towards the helmet and finish with the face and the shields around the cheek. This helps in layering the stitches upward and giving the 3D effect as in step 2. Finally, end the design digitizing with a knot and a trim.